ADAM BENJAMIN is a Grammy-nominated and critically acclaimed pianist, keyboardist, composer and educator based in Reno, NV. Recognized as a “Rising Star in Jazz” in DownBeat magazine’s critic’s and reader’s polls for nine years running, his unmistakable sound crosses stylistic boundaries and challenges traditional notions of jazz. Adam maintains a humble and humorous approach that connects him with his audiences worldwide. Adam is a founding member of Kneebody, an electric quintet widely recognized as one of the most unique ensembles in jazz today. Together for over fourteen years, they have released five studio albums, four live albums, and have toured extensively throughout the USA, Europe, Japan and Australia. Their current release is "Anti-Hero" on Motéma Music, a series of new instrumental compositions exploring themes of loss and redemption, and addressing the charged political atmosphere of Trump-era America. This follows their 2016 release "Kneedelus", on Brainfeeder Records, an imaginative, boundary-breaking collaboration with electronic artist Daedelus. Previous recordings from the “spontaneous and exciting” (DownBeat) “freakishly talented quintet” (All About Jazz) included the 2009 Grammy-nominated release, 12 Songs of Charles Ives, a radical reinvention of the songs of Charles Ives in collaboration with singer Theo Bleckmann (Winter and Winter, 2009). Equally devoted to his work as an educator, Adam is Assistant Professor and Director of Jazz Studies at the University of Nevada, Reno, where he focuses on helping students become healthy and creative musicians and people. He was previously a Professor of Practice in Jazz Studies at Tulane University in New Orleans, and an Adjunct Professor of Jazz at his alma mater, California Institute of the Arts. He gives clinics and workshops at schools around the world, including the Royal Conservatory of Music in London, the Sydney Conservatory in Sydney, Australia, the Eastman School of Music (Rochester, New York), and Stanford University (Palo Alto, California). He has toured and recorded extensively with Dave Douglas from 2005-2011, including world tours debuting Spark of Being, a collaborative work with filmmaker Bill Morrison. Adam’s contribution is central to the Dave Douglas & Keystone albums "Live in Sweden" (Greenleaf, 2006) and "Moonshine" (Greenleaf, 2008). He toured and recorded with Donny McCaslin as part of his "Perpetual Motion" band from 2010-2013. Adam has also collaborated with artists as varied as Jimmy Chamberlin Complex, So Percussion, Joshua Redman, and Beck, and has contributed to many film scores, including co-writing the score to John Krasinski’s 2009 adaptation of David Foster Wallace’s Brief Interviews With Hideous Men. He has performed at such venues as Carnegie Hall, the Hollywood Bowl, the North Sea Jazz Festival, Newport Jazz Festival, and Monterey Jazz Festival. SHANE ENDSLEY resides in Brooklyn, NY, where he is steadily building his reputation as one of the most unique voices on the trumpet today. Shane studied trumpet, percussion and composition at the Eastman School of Music. DownBeat magazine named him as one of the “Top 25″ trumpeters of his generation and he was cited as a Rising Star in the 2013 Critics Poll and in 2013,JazzTimes readers voted him the “Best Trumpet Player under 40.” A truly modern and dynamic musician, he can be found on recordings ranging from modern instrumentalists Steve Coleman, Dave Binney, and Donny McCaslin, to folk and rock icons like Ani DiFranco, Erin McKeown, and Pearl Jam. Shane is a founding member of the Grammy nominated group Kneebody, with their debut recording on Concord Records, The Line, to be released in September 2013. Kneebody was also nominated in 2010 and 2013 for “Best Jazz Group” in DownBeat Reader’s Poll. 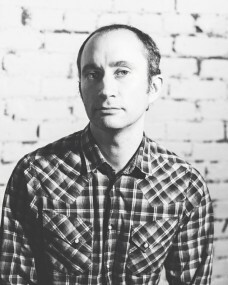 In 2011, Shane released his second recording as a leader, debuting on Low Electrical Records (owned and operated by Kneebody) with Then The Other by Shane Endsley and The Music Band. This album was named one of the 10 Best Jazz Albums of 2010 by The Los Angeles Times. Additional recent projects include working with Chris Speed, Charlie Hunter and Ben Allison. Shane has also toured, performed, or recorded with Ravi Coltrane, John Hollenbeck, Tim Berne, and Jason Mraz. An accomplished drummer and composer, Shane is constantly expanding his musical vocabulary with the rich experiences offered by New York City. He dove into the intricate ornamental style of the Balkan brass bands with the powerhouse 10-piece group, Slavic Soul Party, and has ventured into the lilting rhythms of Brazilian Forro and Maracatu with Scott Kettner of Nation Beat and Maracatu NY. KAVEH RASTEGAR plays bass and writes music. Born in Montreal, Canada he and his family moved to Denver, Colorado when he was two. A self taught bassist, Kaveh’s musical education started in Denver amid the vibrant music scene that he and his friends were a part of during high school. Eventually Kaveh attended the Eastman School of Music in Rochester, New York graduating in 2000. After Eastman, Kaveh settled in LA where has been a part of the rich and diverse music scene. In 2010, 2011 and 2012, Kaveh was recognized on the short-list among electric bassists in the Downbeat Magazine Readers Poll. As a writer Kaveh has co-written songs with Bruno Mars, Kimbra, Cee Lo Green, Kimbra, De La Soul and Meshell Ndegeocello among others. He has also written a number of songs for his upcoming solo release. Kaveh is a founding member of the Grammy nominated quintet Kneebody. Kneebody released their debut album in 2005 titled Kneebody on trumpeter Dave Douglas’s label Greenleaf Music. In 2007, Kneebody released Low Electrical Worker on Colortone Media. They completed an album of arrangements of Charles Ives compositions with singer Theo Bleckmann and released the recording 12 Songs of Charles Ives which was nominated “Best Classical Crossover Album” Grammy Award (2009, Winter and Winter). Kneebody’s debut recording as Concord Records recording artists, titled The Line, is set for release in September 2013. Kaveh’s artwork is often featured on Kneebody albums, posters, flyers, and t-shirts. Kaveh is also the bassist for Italian superstar Luciano Ligabue. He is also a member of the Seattle based power trio THRUSTER! featuring Timothy Young and Matt Chamberlain and a founding member of 70-piece hip-hop orchestra Dakah. Kaveh has recorded and played with artists including Bruno Mars, Cee Lo Green, Kimbra, De La Soul, Colin Hay, Laura Pausini, The Ditty Bops, Jesca Hoop, Matt Chamberlain, Cinematic Orchestra, Larry Goldings, Nels Cline, Anthony Wilson, Busdriver, Antibalas Afro Beat Orchestra, Carla Bozulich, Wayne Horvitz and others. Kaveh lives in Highland Park California with his lovely wife Angela and daughters Emilia and Elena. Kaveh Rastegar is endorsed by Aguilar Amplification. Grammy nominated saxophonist BEN WENDEL was born in Vancouver, Canada and raised in Los Angeles. Currently living in Brooklyn, NY, he has enjoyed a varied career as a performer, composer, producer and conductor. Highlights include multiple domestic and international tours with artists such as Ignacio Berroa, Tigran Hamasyan, Gerald Clayton, Eric Harland, Taylor Eigsti, Snoop Dogg and the artist formerly known as Prince. Ben is a founding member of the Grammy nominated group Kneebody, currently signed with Concord Records. As a composer, he has received an ASCAP Jazz Composer Award, the 2008 and 2011 Chamber Music America “New Works Grant” and most recently was awarded the Victor Lynch-Staunton award by the Canada Council For The Arts. He also co-wrote the score for John Krasinski’s 2009 adaptation of David Foster Wallace’s "Brief Interviews With Hideous Men." Ben was honored to work with conductor Kent Nagano in producing a series of concerts for the Festspiel Plus in Munich, Germany. Since 2008, he has produced a multi-genre performance series at the Broad Stage in Santa Monica, California. Recently he was appointed the head of their Jazz and Blues initiative, which will include producing and expanding performance opportunities for these genres in Los Angeles. As part of this appointment, Ben helped to create an artistic council with includes such luminaries as Quincy Jones, Herb Alpert and Luciana Souza. Ben’s recent producer work includes the Grammy nominated album "Life Forum" for pianist Gerald Clayton on Concord Records. Ben is a recording artist with Sunnyside Records and Concord Records, with two solo albums under his belt, Simple Song (2009) and Frame (2012), a duo project with French-American pianist Dan Tepfer entitled Small Constructions (2013) and multiple Kneebody albums. A third solo album planned for release in 2015. Ben is a former Adjunct Professor of Jazz Studies at USC and a current Adjunct at the New School in NYC. Educational outreach has been a constant in his career with over 250 masterclasses at various colleges, universities, highschools and also previous work with the LA Philharmonic Artist Program. Ben had the honor of conducting a re-creation of “Bird With Strings” at Jazz At The Lincoln Center with guests Charles McPherson and Wes “Warm Daddy” Anderson. → Ben Wendel uses AEA microphones. Multi-instrumentalist NATE WOOD has been making music for most of his life in almost every genre. Nate graduated from the California Institute of the Arts, where he studied drums, bass and guitar with Jazz luminaries Charlie Haden and Joe Labarbara. His first solo album, Reliving is truly self-made, featuring his compositions, singing, engineering/producing, and Nate playing all the instruments. He followed with another solo album, Fall. Nate began engineering during the production of his solo albums, and this quickly turned into a busy schedule of recording and mixing for other bands, which eventually led to mastering. His mastering credits can be found here. He is a founding member of the Grammy nominated group Kneebody, with their debut recording on Concord Records, The Line, to be released in September 2013. Nate engineered all previous studio albums by Kneebody, including Kneebody, Low Electrical Worker, and You Can Have Your Moment. Nate is a member of Weyou, a duo project with Jesske Hume. Weyou released their first full-length album, titled een (2013). Weyou incoporates their multi-instrumental abilities into indie, folk, and avant-garde songwriting, creating a sound that is often ambient and at times wildly experimental. Nate toured the world many times over with pop/rock band The Calling and he has performed and/or recorded with artists including George Harrison, Wayne Krantz, Tigran, Donny McCaslin, John Tesh, Chaka Khan, and Sting. Nate Wood uses Gretsch drums, Istanbul cymbals, Gibraltar hardware, Remo drumheads and Vic Firth sticks.